So, Little Elvis wanted a Pixar party for his 7th birthday this year. What is a Pixar party? We don't really know, so we're winging it. And it's a lot more work than any of his other parties. Not only do I have to scrub the house, but we were forced to create this party from nothing. 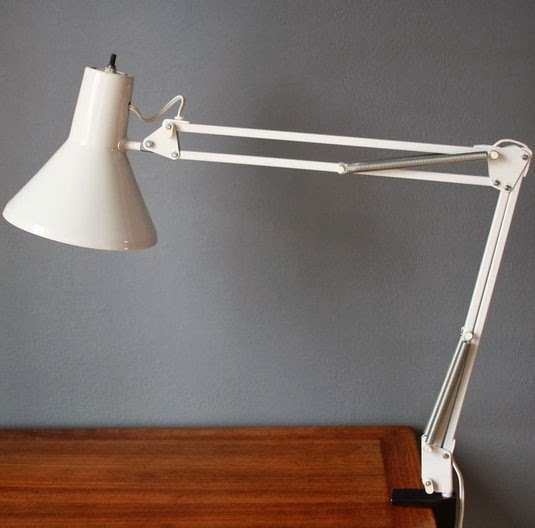 I thought it would be fun to feature the Pixar Luxo Lamp in the invite, and decided that since he was turning 7, I would try to find one bent in a 7. This was the best one I found. He loved the invite, but I don't know if anyone else understood that the lamp was supposed to be a 7. I am going to try my best to draw the Pixar logo on his cake, which will just be a round cake I think. For decorations, we're going to move his John Lasseter poster that he made when he was 4 out to the living room, along with his John Lasseter autograph, and the off-brand Luxo lamp that Santa brought him for Christmas. I also ordered him a Pixar good guys poster for his birthday. We'll hang it up for his birthday party. I also printed out some cute Pixar pictures and sayings. And Baby Plum randomly made a picture in pre-school last week that looks just like one of Little Elvis' favorite Pixar short characters. He's said we could hang that picture up as well, even though it does have Baby Plum's name at the bottom of it. For food, we decided to try and tie the snacks into the movies, and made signs describing what we've done. We worked on those this weekend, and showed them to Little Elvis. He loves them. No one else may get them, but our little guy loves them. I will show pictures after the party. For activities, they can play with our house full of toys, and Little Elvis wants to debut his sequel. He'll also get to show a couple of Pixar shorts that he loves. They are short and funny, so hopefully the kids will like them. The biggest issue for me was the party favor. I am not a fan of party favors, and try to come up with affordable (for us) things that will also be useful. I probably fail more often than not. So, what could we do that was about Pixar? After some thought, I decided that we could make a movie featuring his friends. It had to be short, not too difficult to act out, and easy for me to edit during the party. It will not be computer animated, like Pixar movies, because we can't do that. We will burn the movie to DVDs and that will be the party favor. He's very excited about this. This afternoon we finally came up with a script. It will be spy-themed. I have no idea how many kids will show up, so I tried to make the script very easy to divvy up parts. Of course, this means more work. Now, on top of cleaning the house, I need to make parts of some costumes and props. The costume pieces will be easy I think. But making a cardboard cake has me more than a little worried. The good news with the script is that I can do the graphics and at least one shot of Baby Plum early. I hope I haven't gotten us in over our heads. We will see. Bob may be stuck doing the entertaining by himself while I attempt to get the movie in. It will most likely consist of a few very long takes with a good bit of giggling. I hope this works out. I hope he's happy. We think he will be. This party is definitely all about him. So, I guess I hope his friends will tolerate our quirkiness. This sounds wonderful! I LOVE that LE's theme has become more than decorations, but activities and a party favor as well. How cool is that? VERY! I know the kids will love (both) the feature(s) big time.